The FAG Swiss Proof 52 is the less technisized brother of the FAG Control 525. There was no adjustable bed available, which made this press much lighter than the FAG Control 525. The FAG Swiss Proof 52 was developped in the early 1970ies to be a less expensive alternative to the Control 525-MRS that has been developped at that same time. 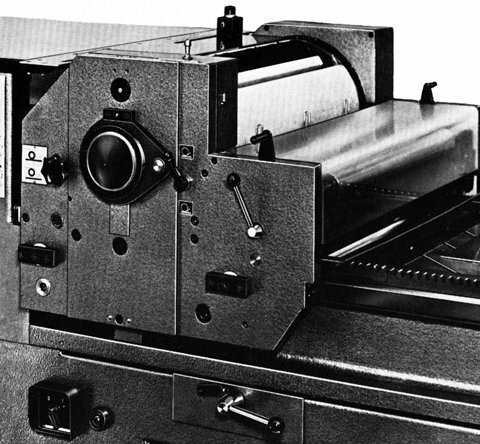 It was officially presented on Drupa 1972 in Düsseldorf, Germany! 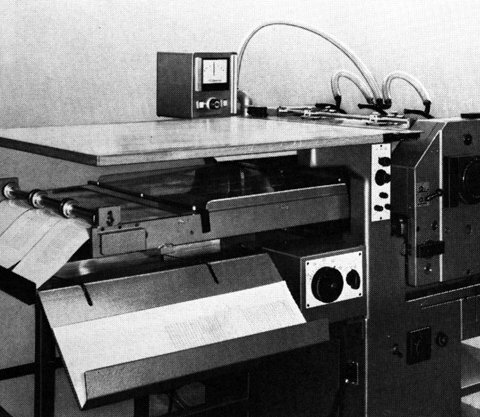 FAG also presented the automatic sheet delivery unit PMA (see images) and the automatic cutting device for the Swiss Proof 52 and the Control 525 at Drupa 1972. 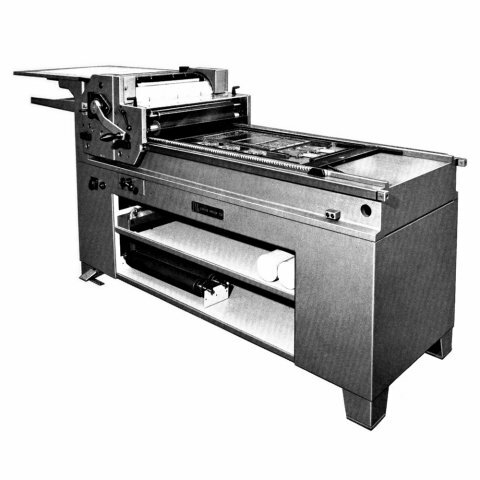 FAG would also deliver this press (as well as any other proofpress model) for galley-proof-height, but also any other typeheight needed. FAG Swiss Proof 52 from a Swiss FAG catalog from the early 1970ies. FAG Swiss Proof 52 equipped with a power driven cyinder with stepless speed adjustement MVA. From a Swiss Proof Catalog from the early 1970ies. 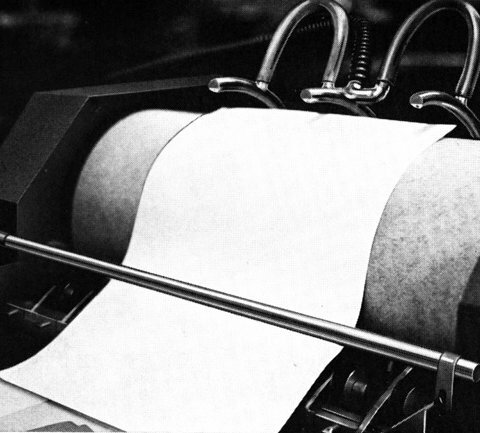 Automatic sheet delivery PMA. This was probably a very rare feature. From a Swiss Proof Catalog from the early 1970ies. Cutting device on a Swiss Proof 52. From a Swiss Proof Catalog from the early 1970ies.